Four rinks took part in the ICA Opening Bonspiel at Hamilton Ice Rink on Sunday. 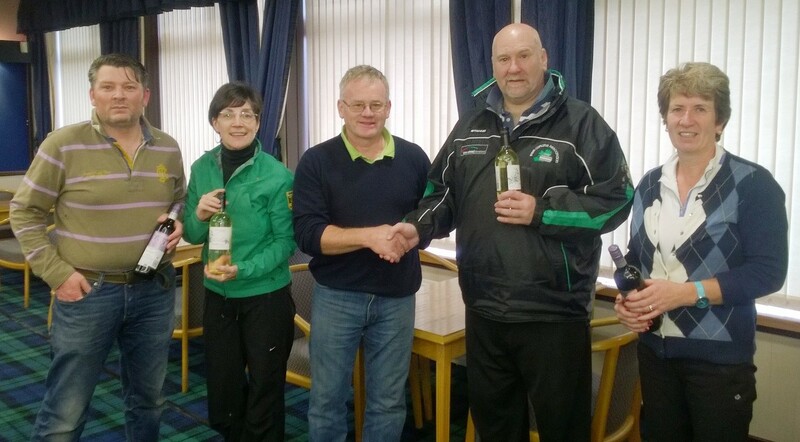 After two hours of very competitive curling on excellent, keen ice the winners were the rink of Johnjo Kenny, Louise Kerr, Steve Callan and Anne Wilson. This was a momentous moment for the winning skip at it was his first ever ICA bonspiel win! After the game, President PJ Wilson presented the successful foursome with bottles of wine.